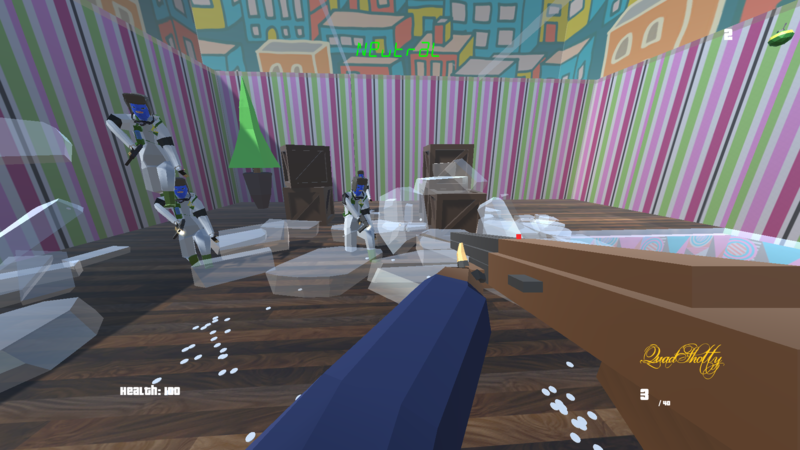 Oh wow, this is a really ambitious FPS game, color me impressed! Not sure what to make of the dream mechanic though, e.g. the countdown seems to dissolve the game scene but not immediately, so its not very clear. 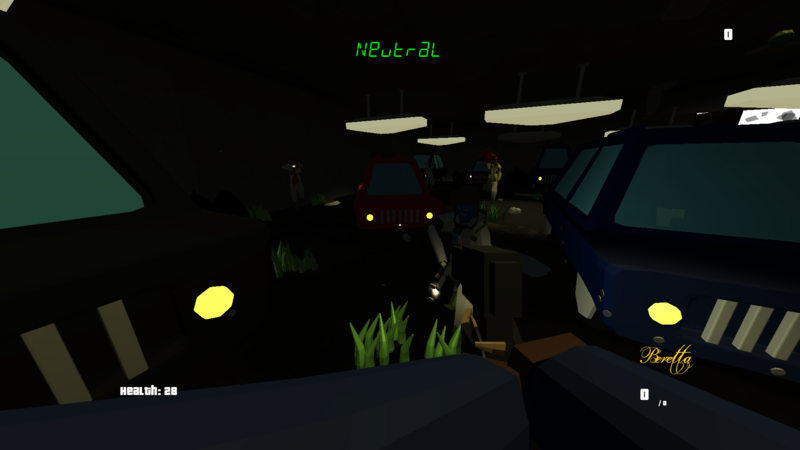 Some aspects of the game require just a bit more polish as it now gets in the way of gameplay e.g. 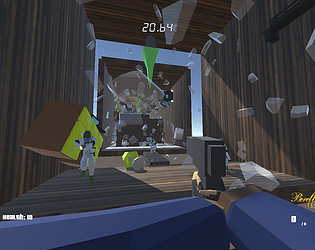 objects getting in the way, destructible meshes getting in the way, dive feeling a little wooden, enemies being a little wonky (especially those bombers!). There's a really nice feel to using the weapons, good job on those! Very detailed 3D modelling work too! I really like the style and the idea behind this, but there were a lot of small issues that got in the way of enjoying the game. The style is really cool, and really feels nightmarish. The music is very fitting and kinda feels like I'm in a Max Payne game (which is the vibe I get from the whole thing). The sound effects are pretty good, and the enemy screams got a few laughs. The reload animation on the submachine gun is really great! However, the movement feels very stiff, and it feels like it hampers the action of the game. Particularly the dive, which seems to be very difficult to get up from. I think for a game where you're supposed to be moving fast, you really need to let the player get up from this almost immediately. Also the kinetics of the dive feel kinda strange. It slides a little bit longer than you feel like it should, which makes some of the more platformy sections super frustrating. Movement in general feels very hampered by the collision. If you're moving against something and jump, you just jump straight up. It feels like you should be able to hurdle these obstacles without getting a running start. 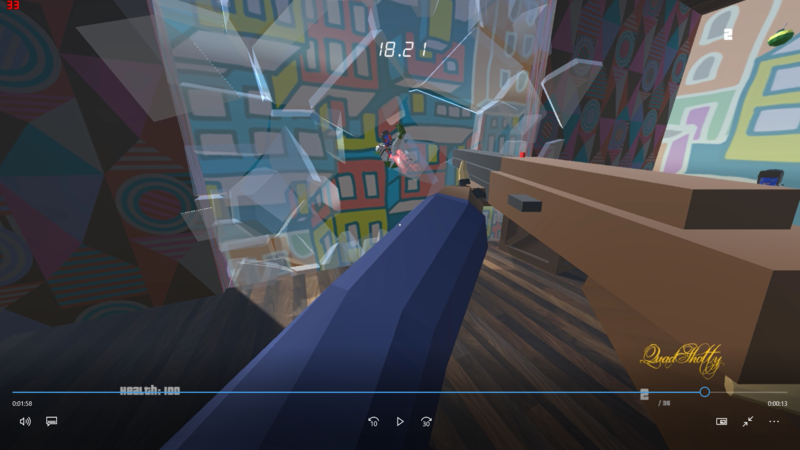 In particular, some of the bits of glass really get in the way and you feel stuck in place for a few seconds, which is frustrating in a game with a 30 second time limit. A couple other nitpicks, it would be really nice if the gun reloaded if it was empty and you attempt to fire. It's kind of a lot to keep track of when you're running around and dodging things and trying to get to the end before the time limit. Also the footstep sound needs to be turned way down, because it feels like it dominates all the other sounds. Overall, it was a cool game that just had a few things that hampered my enjoyment. I think if you work on adding more fluidity to the movement, you'll have a really fun game! I'm also really impressed that this was made by a 13 year old. I wish I was making stuff this cool at your age. i definetly agree for nearly all of these tips now that you've said them! Im thinking of adding a similar style of combat in a game im working on. This feedback will come in very handy! Very good entry. Nice models, animation and shooting system! The game lacks a bit of polish though. 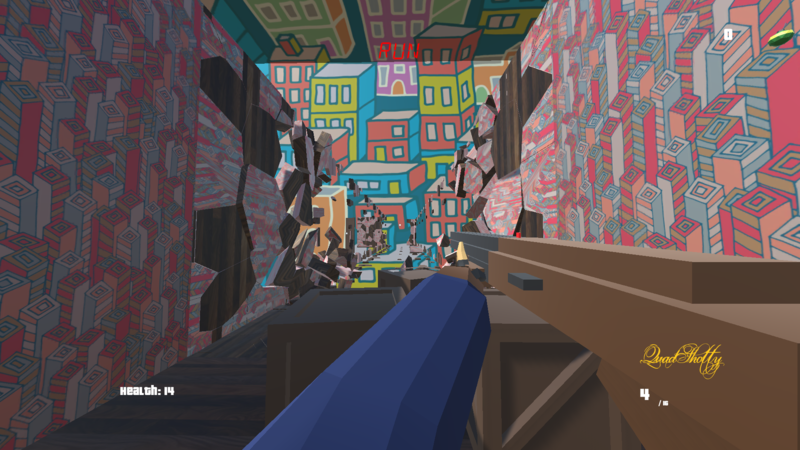 I kept getting stuck in furniture and stuff all the time and physics are overall weird. Also I didn't like having to read the story and controls from a screen on the menu. But good job and keep on making games. This is AMAZING for a 13 year old!!! thanks, i think it needed a bit of pollish to, but unfortunately i ran out of time because of camps. Thanks for the feedback! Good job, but I cannot realize the theme in the game. I dont know why i like this game so much but its just so good! Good job guys! Woah this was really good! The models and textures have a very nice look, and that reload for the machine gun is so ridiculous. Gameplay could be improved a bit, but it's a good start.